Fluent in venture story making, I have helped hundreds of entrepreneurs and operators make the compelling pitch decks that their knowledge and execution deserved. My template has been viewed more than a 100 000 times but it was an incomplete piece as it didn’t provide people with the underlying principles behind each part. Today I have fixed this. Convince people through well put arguments. Try not to use more than 20 words per slide. Either put 1 ideas or 3 bullet points, nothing else. Make it simple, but make it visual. People tend to either jump straight away into the core of a conversation or make a lengthy introduction which at best is boring, at worst lacks clear context. A true statement against which people can’t object will put the room in a state of agreement by default. People will likely adopt a constructive and positive attitude towards the situation. To provide initial context is a sign of professionalism as it structures the discussion from the start. Everyone loves to be in a room where they feel that things are in control and well organised. By understanding the context of a situation, people are eager to engage and go through the discussion that follows with better arguments and ideas. No one should ever jump in a meeting and talk about a subject without sharing a short, precise and clear context about the situation first. If you’re pitching a company or a product, you should always start by the mega-trend. Uber: talk about the state of urban mobility. Airbnb: talk about the state of short term accommodation. Stripe: Explain the state of online commerce checkout. In the best situation, the context will make your audience feel excited to discover and explore what comes next. The common mistake when we address a problem or an opportunity is to use a cause-consequence approach. For Uber, Airbnb or Stripe, you would say that urban mobility, short term accommodations or the checkout process of e-commerce are broken markets. And you would start from there. This is a wrong way of approaching a problem. People don’t understand what you’re talking about and wait for more compelling arguments or situations they can actually relate to. The way you address a problem or an opportunity is by engaging with customers/users. Well, the way you talk about the problem isn’t different, it all starts by talking about the customers/users and the issues they’re currently facing. 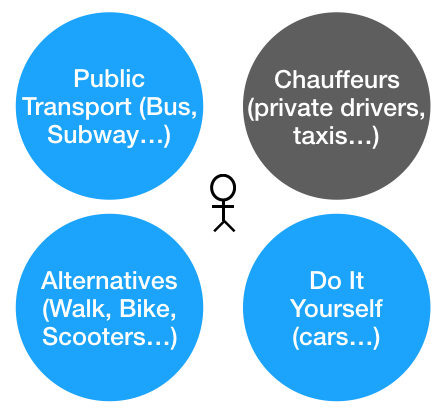 Uber: People struggle to go from point A to B in a delightfully efficient and affordable way. Airbnb: People are stuck in expensive, small and unadapted hotel rooms. Stripe: Online commerces struggle to provide an appealing checkout process to their customers. The context has served as a base for people to understand that mobility is broken, that people need better short term accommodations and that the process of online checkout is critical for business to thrive. 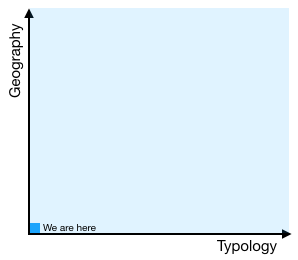 Therefore you don’t need to argue why the problems you are talking about are in fact important trends. Now that you’ve addressed the problem, you are tempted to talk about the solution. Don’t do that. No one will understand what you have cracked if you don’t talk about the reasons why the problem hasn’t been (properly) solved yet. Uber: Regulation brings shortage, lack of service and slow pace of innovation. Airbnb: There is no trusted alternatives to hotels. Guest and tenants don’t feel comfortable as they feel left alone in the process. Stripe: The checkout process is cluttered with hard to install/use solutions, leaving developers in pain to provide a neat checkout process to customers. The problem that customers/users are facing has been addressed, as well as the reasons why the problem exists. Now we can talk about the solution that we have cracked to address those reasons. Uber: Bypass regulation, provide higher level of service, use mobile technology. Airbnb: Act as a trusted party that reassure tenants, guest, and provide a secured transaction process. Stripe: Allow developers to install the best checkout solution in minutes to provide the best possible experience to customers. From there, people understand the context, the problem, the reasons of its existence and how you plan to address them. People usually talk about the market first and then go through the product. It sounds counter-intuitive at first, but you should always talk about the product first. People can’t relate to your target audience or competitors without understanding first what you are. You don’t introduce yourself by talking about your parents, brothers and sisters. If you do, it’s just because it’s reassuring to talk about others, but that’s wrong. It’s time to show the product. Start with the value proposition, this one statement that describes your service in a very simple way. It’s really tempting to provide people with a high level picture of where you could be in 5 to 10 years time, but you absolutely must keep this for later. Remember, you talk from a customer/user point of you. People are listening to you if you nailed the first two parts, so keep going, stay focus. Airbnb: Find a place to stay during events. With the value proposition comes the demonstration of your product. Show how great it is to use Uber, Airbnb or Stripe through a simple, compelling 1 minutes video. It must be self-explanatory, and fast-forward. Make sure you address the product from all sides. Uber: app experience, driver exp., trip exp. Airbnb: tenant exp., guest exp., transaction exp. Stripe: installation exp., checkout exp., post-transaction exp. Finally, you should talk about the product from the customers’ perspective, that’s how your audience will understand the power of your solution, by putting themselves in your users/customers shoes. Uber: people love the live eta, the in-app payment, the clean car, the nice driver, the water, the candies, how trust is built through mutual ratings… It’s fast, easy, convenient. Airbnb: people love the quality of the photos/presentation, the prices, the styles, the diversity of offers, the transaction processed by airbnb, the ratings. Stripe: people love how fast it is to install, the reliability, the look, the integrations. For this slide, you can either list the perceived values by users or display explicit quotes from existing customers. The latter is obviously better. I love this part of the deck, this is where people actually understand how the initial, narrowed approach of a product can expand in terms of demography, typology and use to become huge. It all starts with the target, talk about the demography of your initial target and shows how it can expand. Use compelling, graphic slides. Uber: You start with rich kids of San Francisco and you expand to more cities with more affordable solutions. Airbnb: You start with couch during events, then rooms, then homes, then services, then experience. Stripe: You start with credit cards, then you add features to own the whole checkout space. Now that you have talked about your target and your plan to expand, people need to understand where you stand in the competitive landscape and as you’re going to expand, who are your competitors. Avoid the ridiculous chart where you put yourself at the top right corner and everyone else below to the left, that doesn’t show any perspective on how well you understand your market. Again, put your customers at the center and shows, using silos, who are the direct and indirect/alternative competition. Uber: It competes with private drivers and taxi companies, then become an alternative for people usually using their car, then will move to alternative means of transportation. You now need to show why you will win, here comes the secret sauce slide ! Uber: Reliability through a solid mobility grid. Airbnb: Trust through control, ratings and insurance. Stripe: Convenience through robust ease of deployment and use. People obviously need to be convinced about your ability to pull this off, but often entrepreneurs loose sight of their primitive and how critical it is on the long term. Your secret sauce is the heart of your execution strategy. We have addressed the context, the problem, the product and the market, now comes the execution. Again, it’s divided in three parts: the go-to-market or distribution, the business model, and the Key Performance Indicators up to date. Let’s start with the go-to-market or distribution. It’s great to have a product but it’s worthless if you don’t acquire customers and find a sustainable way to do this at scale. This slide is simple, you need to show how you fuel the top of the funnel down to closing customers/users. It’s true for both the demand and supply of your product if you’re a marketplace. Uber: for the demand, rich kids mimic rich kids. for the supply, we contract with private chauffeurs service. Airbnb: we source through craigslist for the supply, we piggy back on events for the demand. Stripe: developers talk about the solutions that change their life. If you already have metrics about the cost of acquisition versus the lifetime value of your users at 6, 12, 24 months, put them here. Then talk about the business model. Same as for the distribution, it’s a funnel that demonstrates that the unit economics make sense and improve as you scale. Depending on your sector, get in touch with someone of your industry to understand the metrics that matter. Founders often fail to master the art of people and data in their early days. They are the two most important things that require continuous attention as you move forward. Focus on Growth & Retention. Together they’re everything. Entrepreneurs often talks about the team in the first slides. If you present your pitch in person, you obviously need to introduce yourself and provide your background within the context: what did you do before, how you got started, how you met with your co-founders. But if you’re sending the deck over email for instance, it’s unnecessary, it’s like putting out a joker with your first hand. If your pitch deck is compelling, your profiles will come as a cherry on the cake. It’s like Eleonore who applied for an internship at Kima Ventures. She took a risk by sending a prose while she could have just asked for an interview as we had people we trust in common. She will always be remembered as the intern who made her way through by taking a risk that demonstrated her value instead of cutting the line. It’s remarkable. Then display the profiles of the founders and your strongest team players. If they have achieved strong milestones, put them here, like the Buffer pitch deck. This is also where you put your advisors and investors. Then, provide a timeline about the next 12 to 24 months with the milestones you tend to achieve in terms of product, distribution, metrics. The final slide is your big picture. You don’t need to put how much money you’re looking to raise, but use the appendix slides to provide more context about the market, the competition, to add more metrics and a cash plan for the next 18 to 24 months.